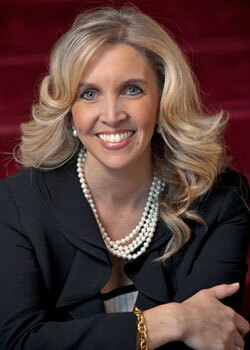 Speaker: Stephanie Ann Jones, Executive Director, Preservation Houston. "Saving Houston's Great Buildings"
Preservation Houston is a 501(c)(3) not-for-profit corporation founded in 1978 as Greater Houston Preservation Alliance. Members include individuals, corporations and organizations. Preservation Houston depends on donations, membership fees, grant funding and ticket sales for tours and events to fulfill its mission. Preservation Houston promotes the preservation and appreciation of Houston's architectural and cultural historic resources through education, advocacy and committed action, thereby creating economic value and developing a stronger sense of community. The accomplishments of an advocacy organization are, by definition, difficult to measure. 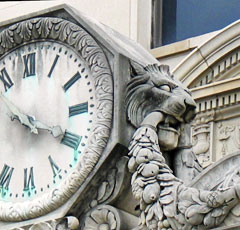 Preservation Houston's achievements can be seen as the effect of water on stone. Progress is slow and steady; cumulative change is evident over time. Today, progress can be seen in downtown Houston's revitalized historic buildings, in the restored homes of the Heights and Old Sixth Ward historic districts, and in stable residential neighborhoods and active civic associations such as those in the Norhill and Woodland Heights historic districts. Progress is evident in the widespread recognition of historic preservation as an important tool for economic development, an awareness that grew in part from Preservation Houston's active support of the successful redevelopment of the landmark Rice Hotel as a market-rate apartment building.